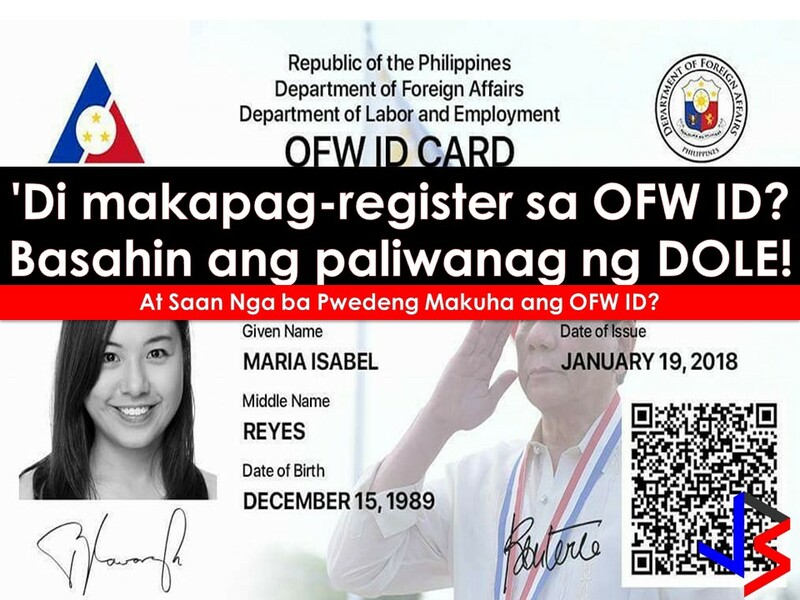 Thousand of Overseas Filipino Workers (OFW) are excited to have their iDOLE or OFW ID. But excitement turns into frustration and dismay when many can't continue their application on DOLE's website after entering Overseas Employment Certificate (OEC) valid number and being advised to proceed to the nearest POEA Office for further verification. 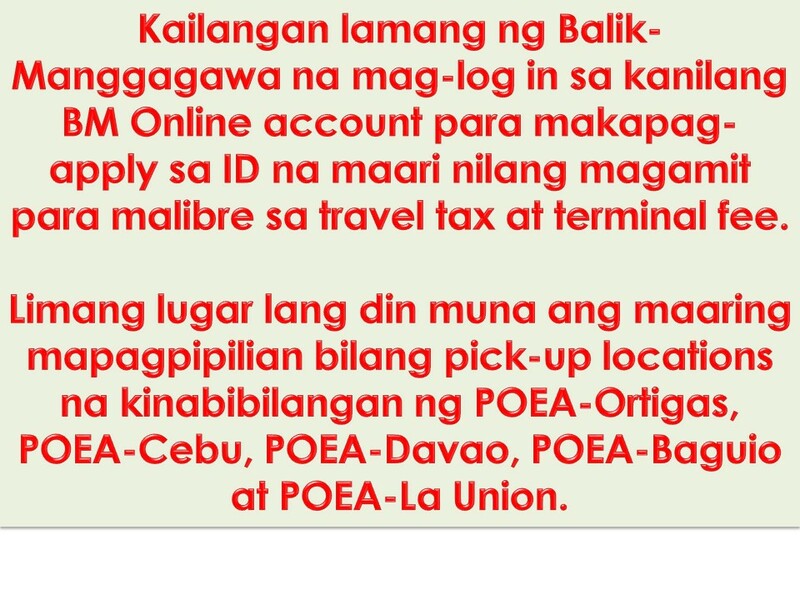 On POEA Facebook Page, a news has been posted dated, December 13, 2017, saying that the OFW ID for the meantime is only available to Balik-Manggagawa or Returning OFWs. It is because the OFW ID is in its first phase of issuance. 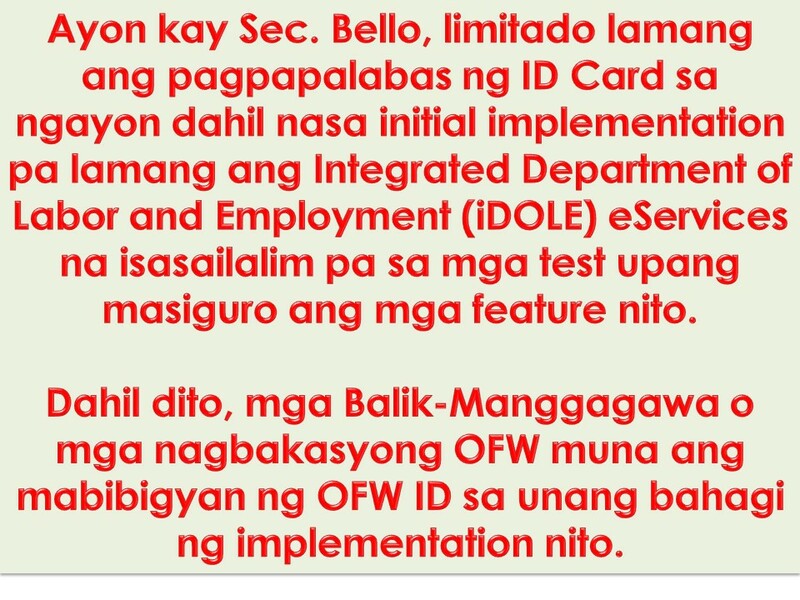 Department of Labor and Employment (DOLE) Chief Silvestre Bello III even clarified that there is a limited issuance of OFW ID in the initial implementation due to further test and to secure the feature of the system. It is being noted in the application process that the system will only accept OEC number or exemption number with a validity date from October 20, 2017, onwards. “This is only the first phase of implementation and will cater first to our Balik-Manggagawa until the system is ready for all OFWs. We are doing this to secure the database and for further improvements in the system,” Bello said. So it is clear that Balik-Manggagawa or those vacationing OFWs are first being catered by the system. Watch: OFWs Received Their IDOLE ID! This is the reason why ID applications of many OFWs around the world are UNSUCCESSFUL for the meantime. Balik-Manggagawa, or those vacationing OFWs, are required to log-in to their BM Online accounts to apply for the ID, which they can use to avail of travel tax and terminal fee exemptions. The DOLE Chief reiterated that the iDOLE OFW ID is Free and being funded by the Overseas Workers Welfare Administration (OWWA). With the first phase of implementation, OFWs who were able to secure their ID application can only choose for five pick-up location such ash POEA - Main in Ortigas, POEA - Cebu, POEA, Davao, POEA Baguio and POEA La-union.